El Aiun (Occupied Territories), 24 August, 2015 (SPS) – European searchers and human rights activists have been driven out of the occupied town of El Aiun, Western Sahara, by Moroccan occupation forces, to prevent them from enquiring about the situation of human rights in the occupied territories. A Spanish and a French activists, who were due to meet with the Coordination of Saharawi Human Rights Groups, have been forced to leave the territories by Moroccan occupation authorities. Police officers and intelligence agents encircled Friday evening the house of Saharawi activist Dah, where the European activists were due to meet with the members of the Coordination of Saharawi Human Rights Groups. The European activists were warned that the simple fact of getting in contact with Saharawi people in the occupied territories of Western Sahara was against Moroccan occupation authorities’ regulations and laws. There are no news agencies based here and foreign journalists are denied access, and even deported if caught inside,” stressed Ettanji. Spanish journalist Luís de Vega is one of several foreign journalists who can confirm the activist´s claim – he was expelled in 2010 after spending eight years based in Rabat and declared persona non grata by the Moroccan authorities. 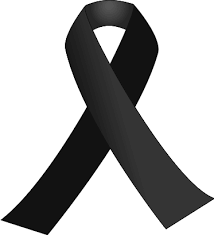 “The Western Sahara issue is among the most sensitive issues for journalists in Morocco. Those of us who dare to tackle it inevitably face the consequences,” de Vega told IPS over the phone, adding that he was “fully convinced” that his was an exemplary punishment because he was the foreign correspondent who had spent more time in Morocco. 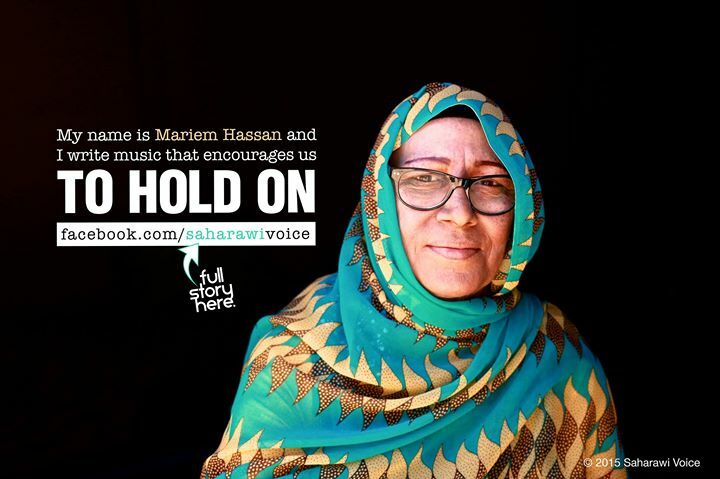 Mariam Hassan will always be remembered as the voice of the Saharawi people. In April 2014, Hassan headed to the refugee camps for her last appearance at FiSahara, an international cinema festival that takes place every year in the camps. Hassan wanted to give her last performance after she received the tragic news that she had only a short time to live due to her cancer coming out of remission. Going back to the camps, she was welcomed by thousands of Saharawi who either wished to hear her for the last time or to say their goodbyes. The night Hassan gave her last concert, she began with an emotional pledge by thanking her people for allowing her to be their voice and also asked for their forgiveness for not being able to continue to fight for their cause for self-determination. Hassan will always be remembered as the voice of the Saharawi people. Chahid Al Hafed (refugee camps), August 20, 2015 (SPS) – The Association of Families of Saharawi Prisoners and Disappeared (AFAPREDESA) on Thursday called on the Moroccan state to unveil the whereabouts of the Saharawi missing persons and release immediately all the Saharawi political prisoners incarcerated in Moroccan jails. In a statement on the occasion of its 26th anniversary, the Association expressed deep concern over lack of respect from the part of Moroccan regime to international legitimacy, calling for enabling the Saharawi people to enjoy their inalienable right to freedom and self-determination. Moroccan police forces on Tuesday severely tortured the Sahrawi activist, Leila Lili, at Casablanca airport on her return from Algiers, where she took part in the 6th edition of the Summer University of Polisario Front and SADR cadres, said a source from the Ministry of Occupied Territories and Communities Abroad. The United Nations Secretary-General Ban Ki-moon called for the umpteenth time for a rapid settlement of the Western Sahara conflict, in a report on the development of the Saharawi question submitted to the General Assembly which should begin its work on 15 September.